"If you are in love--that's a good thing--that's about the best thing that can happen to anyone. Don't let anyone make it small or light to you...if it is right, it happens--the main thing is not to hurry. Nothing good gets away...the object of love is the best and most beautiful. Try to live up to it." Good morning LOVEanese! I'm off today, so it's the perfect time to blog. This one's going to be a quick one, I just wanted to share something I found on Brain Pickings about the noted American author, Pulitzer Prize winner, and Noble laureate, John Steinbeck (1902-1968). Best known for his novels, The Grapes of Wrath, Of Mice and Men, and East of Eden, he also had much to say about love--and what beautiful words he weaved together too. Just check out the 'stash too! I just want to post a beautiful letter he wrote in response to his oldest son Thom's 1958 letter to him. As Brain Pickings author, Maria Popova, writes, "In the letter, Thom--a teenage boy--confesses to have fallen desperately in love with a girl named Susan while at boarding school. 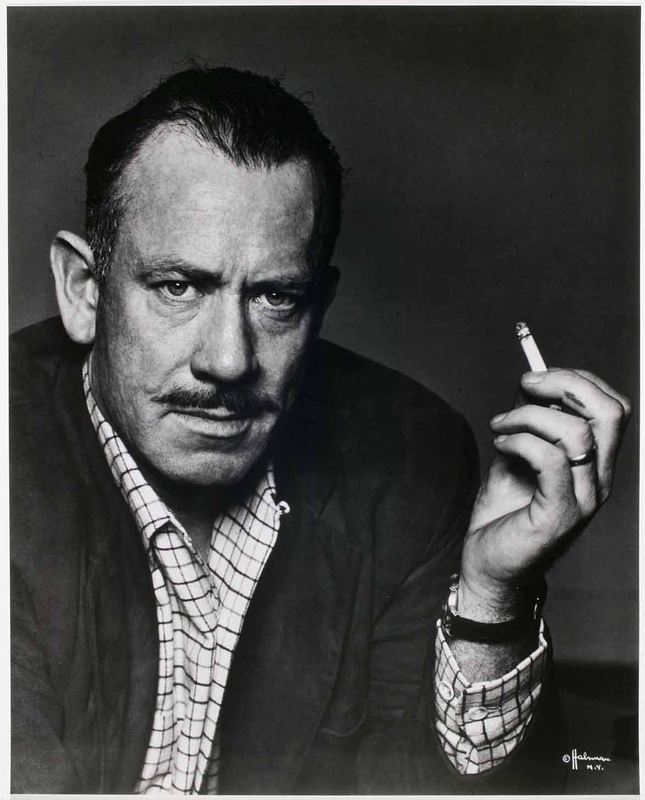 Steinbeck’s words of wisdom--tender, optimistic, timeless, infinitely sagacious--should be etched onto the heart and mind of every living, breathing human being." We had your letter this morning. I will answer it from my point-of-view and, of course, Elaine will from hers. First--if you are in love--that's a good thing--that's about the best thing that can happen to anyone. Don't let anyone make it small or light to you. Second--there are several kinds of love. One is a selfish, mean, grasping, egotistical thing which uses love for self-importance. This is the ugly and crippling kind. The other is an outpouring of everything good in you--of kindness and consideration and respect--not only the social respect of manners, but the greater respect which is recognition of another person as unique and valuable. The first kind can make you sick and small and weak, but the second can release in you strength, and courage and goodness, and even wisdom you didn't know you had. You say this is not puppy love. If you feel so deeply--of course it isn't puppy love. But I don't think you were asking me what you feel. You know better than anyone. What you wanted me to help you with is what to do about it--and that I can tell you. If you love someone--there is no possible harm in saying so--only you must remember that some people are very shy and sometimes the saying must take that shyness into consideration. It sometimes happens that what you feel is not returned for one reason or another--but that does not make your feeling less valuable and good. We will be glad to meet Susan. She will be very welcome. But Elaine will make all such arrangements because that is her province and she will be very glad to. She knows about love too, and maybe she can give you more help than I can. And don't worry about losing. If it is right, it happens--the main thing is not to hurry. Nothing good gets away. Beautiful words indeed--although the one thing I will disagree with is that (at least in today's time), there can be consequences for professing your love as I have detailed here and here. But I do like how he describes the different types of love; how wise and true this is, even now! Times change, however, and although his words are timeless, inspiring, and beautiful, I only wonder what he would say now about love in the world or how he would respond to his child's quandary about love today in world saturated with a fear of intimacy, selfish love that he warned about, and the lessened importance and frequency of face-to-face communication (and the harms that follow, especially for teens). Perhaps the best thing we can do is learn from his wisdom, and take his words to heart. In the meantime, no matter where you are in the world, have a happy Friday, and a good weekend!